We've known for some time that director Christopher Nolan's Dunkirk would not be your typical WWII thriller, with a unique story format that is told through three different perspectives, but it was almost a lot more unique. During a recent interview, the writer-director revealed that, before production began, he had the idea to shoot Dunkirk entirely without a script, which he had pitched to his wife and producing partner Emma Thomas, and his longtime production designer Nathan Crowley. Here's what the director had to say about why he wanted to shoot without a script. "I got to a point where I understood the scope and movement and the history of what I wanted the film to address, because it's very simple geography. I said, 'I don't want a script. Because I just want to show it,' it's almost like I want to just stage it. And film it." The Hollywood Reporter reveals that the director made this revelation in an interview with his brother, Westworld creator Jonathan Nolan, which was published with the Dunkirk screenplay. Christopher Nolan added that he wanted to shoot without a script because he, "felt like I'd kind of mastered that form," referring to screenwriting, especially after creating complex narratives like Inception and Interstellar. However, his wife Emma Thomas was not a fan of this idea, as the director revealed in this interview. "Emma looked at me like I was a bit crazy and was like, okay, that's not really gonna work." The director added that the script did come together "very, very quickly," after figuring out the unique Dunkirk plot structure. He also added that the script itself was among the shortest he had ever written, coming in at just 76 pages. 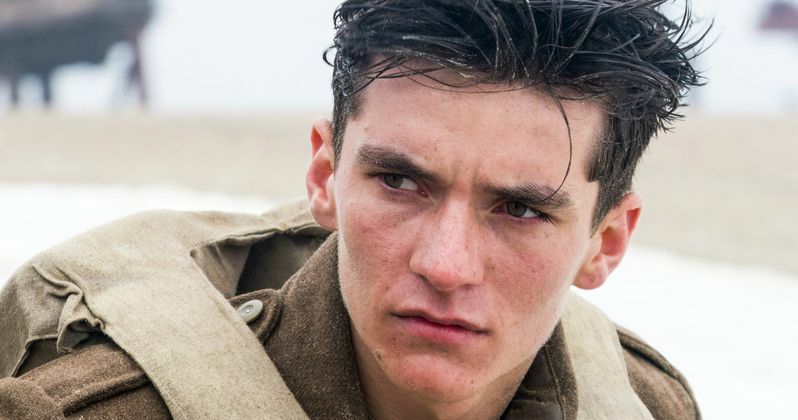 It's no surprise, then, that Dunkirk clocked in at just 106 minutes, the shortest since his very first film, the 1998 indie thriller Following, which was just 69 minutes long. Still, while fans seemingly didn't have any issues with the short runtime, some were not too happy about the PG-13 rating. When the MPAA issued a PG-13 rating for Dunkirk in April, many fans took issue with this, since many WWII films are rated R. The director explained in an interview that the PG-13 rating is the one he feels most comfortable working in, adding that Dunkirk isn't exactly a war film, describing it as a "survival film." He added that all of his "blockbuster" films have been PG-13, although his first three films were R-rated, his 1999 indie debut Following, his breakthrough 2001 film Memento and his first Warner Bros.' film, the 2002 thriller Insomnia. Still, his next film, Batman Begins, started the director's PG-13 era, and every movie he's made since then has been PG-13. Dunkirk's box office debut was rather impressive, opening with $50.5 million and dropping just 44.3% in its second weekend to repeat with $28.1 million, although it seems unlikely there will be a three-peat this weekend, with The Dark Tower, Kidnap and Detroit opening nationwide. Dunkirk has taken in $112.6 million domestically and an additional $153.1 million internationally for a global total of $265.7 million, from a $100 million budget. The director also made it clear in this interview that he, "will be coming back to dialogue" in his next film, although it isn't clear what that film may be.